During the boom times between 1890 and 1910, the Kitchi Gammi Club set must have read the real estate transfer section of the newspaper as hotly as gossips read the society pages. Properties flew between investors, land subdivided and re-divided, streets planned one way and then the other, named and re-named. Whole neighborhoods were carved out of the rocky hillside, and houses sold on spec. The Dickerman family and their Dickerman Investment Company bought and sold as often as the best of them, owning properties in West Duluth, Oneota, the West End and downtown as well as in the newly minted neighborhood around what would become UMD and Mount Royal/Upper Congdon Park. And because those who plat the streets often get to name some of them, the Dickermans managed to get three with family monikers. Charles Erwin Dickerman was born in Ohio in 1834. His ancestors were among the first to settle in an area there called the “Western Reserve,” and their roots went back to the very beginnings of the colonies. After receiving both a common public school and then a more elite private school education, he found work in a general store at a salary of $50 per year. When he was just 18 he went into business for himself in a small town near home. At 21 he went west, settling in Decorah, Iowa, and establishing a drug and grocery store and a livery business. Two years later he married Elizabeth (Lizzie) Kent Greene, a native of Ohio. Like her husband, Lizzie Dickerman was the descendant of very early New England ancestry. Lizzie was lucky to have been born and raised in a town that stood at the forefront of women’s higher education. In 1833 Ohio’s Oberlin College became the first in the United States to accept women, and other Ohio institutions followed suit. Lizzie graduated from Hiram College in 1857 after studying under a young professor by the name of James A. Garfield. Garfield would go on to become president and is one of only a few presidents with a Duluth street named after him. Like Duluth, there was much speculation throughout the upper Midwest about future railroad locations and which towns would experience a resulting boom. Following the rumors of profit, the Dickermans relocated to Otranto, Iowa, opening another general store. However, echoing the problems experienced by Duluth’s early investors, everything in Otranto went bust, and Dickerman went broke. He returned to Ohio, traded what property he had left for more general merchandise and dry goods, and returned to Decorah to start over. By 1870, Dickerman had accumulated enough wealth to start buying property in the growing city of St. Paul, and was soon a major force in the city’s real estate and securities, involving himself in investments amounting to several millions of dollars. He was the funder of several major buildings there, and built his growing family (now with five children) a lovely estate opposite Summit Park. In the 1880s, the Dickerman Investment Company had extensive mining interests in Montana, farming lands in North Dakota, and property in Florida, not to mention real estate in Chicago, Iowa, and South Dakota. 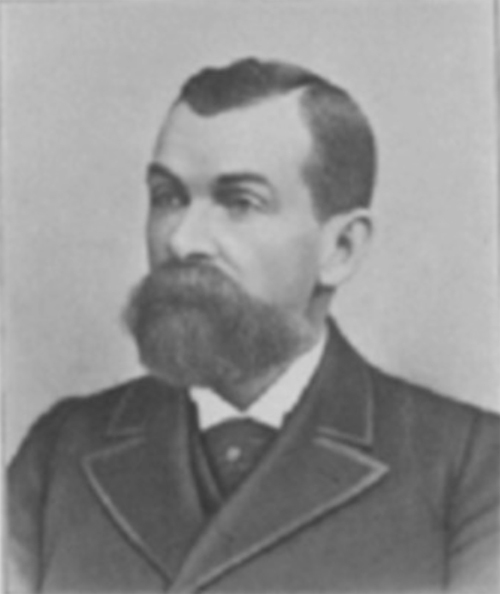 Dickerman entered into business in Duluth in 1882, quickly becoming a major landowner and investor. One of his downtown properties was the recently renovated Daro Building at 22–28 North First Avenue West, which housed the Minnesota Ballet for several years. Today two streets in West Duluth—Charles Avenue and Dickerman Avenue—lie on former Dickerman property. They were first named for two of Dickerman’s sons who became the principle directors of Dickerman Investments after their father retired, Charles Kent Dickerman and Gilbert Greene Dickerman. (Gilbert served as president, and Charles K. as secretary.) Until 1964, Dickerman Avenue was known as Gilbert Avenue. The Dickermans also owned extensive properties near today’s sprawling UMD campus. In 1951, the two brothers donated some of the land that now makes up the Bagley Nature Area, and Charles K. was heavily involved in efforts to secure other properties for the university. Both brothers became active citizens of Duluth and owned large homes near the corner of Kent Road (named in honor of their mother’s family name) and 24th Avenue East. They both married college women who were mentioned frequently in the local society pages. Charles K. also worked as the director of Duluth’s Zinsmaster Baking Company for 50 years. The brothers died two years apart—Gilbert in 1958 and Charles K. in 1960—and were buried in the family plot in St. Paul’s Oakland Cemetery. Despite the streets named for them, the Dickermans don’t create much of a blip on Duluth’s history radar. It’s a completely different case in St. Paul. The Dickerman estate is still featured on architectural tours, and University Avenue’s Dickerman Park—donated by the family in 1909—has fairly recently been in the news because of its neglected state. A 2002 planning and redevelopment meeting included the appearance of a supporter described in the Friends of the Parks newsletter as “an elegant elderly man with a cane.” It was Kent Dickerman, Charles E. Dickerman’s grandson. Though Kent died in 2006 before the renovation of the park could be realized, he continued his family legacy by being a major contributor, raising $46,000 toward the effort.